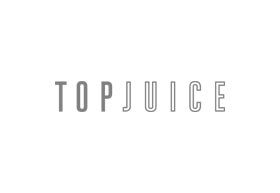 Top Juice is your one-stop-shop for delicious, healthy and convenient food. Top Juice sources the freshest produce, as well as exotic fruits and vegetables, to create a nutritious seasonal menu. With everything from juices, smoothies and protein shakes to salads, gourmet yoghurts and indulgent chocolate-dipped strawberries, Top Juice has a great range of unprocessed and guilt-free treats."